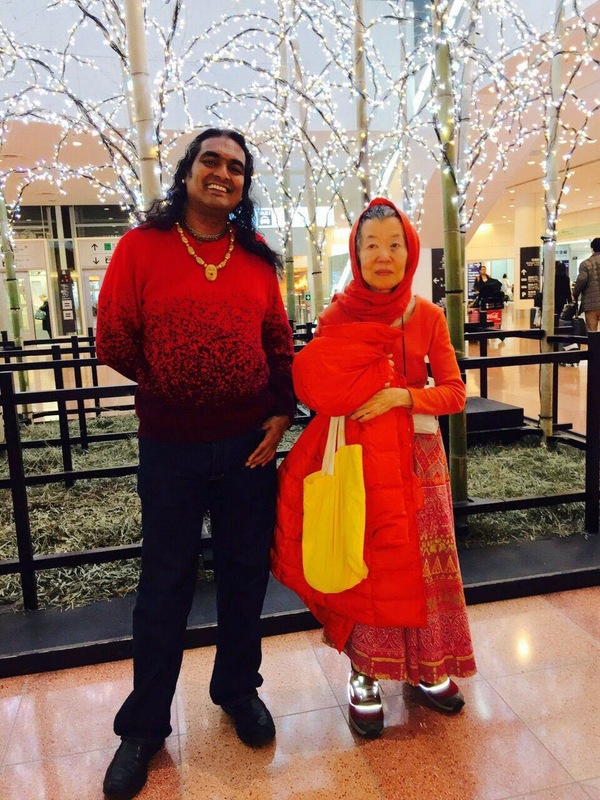 Paramahamsa Sri Swami Vishwananda / Bhakti Marga: Dozo Yoroshiku Onegaishimasu - Sri Swami Vishwananda is in Japan! 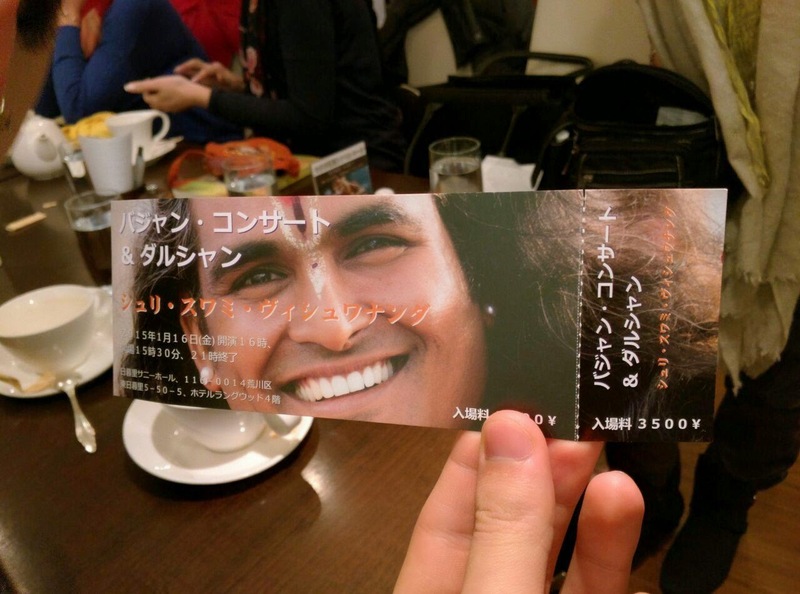 Dozo Yoroshiku Onegaishimasu - Sri Swami Vishwananda is in Japan! 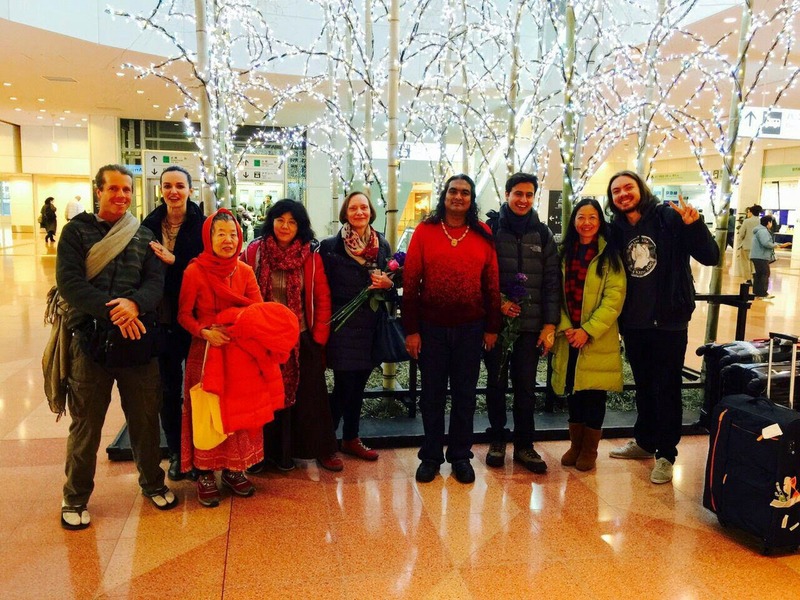 On Wednesday, 14 January Swami Vishwananda arrived in Japan, a country he wanted to visit already for a long time! Together with Mira, Tandav ­Krishna and Nikhil He came to Tokyo Haneda airport and was greeted by Swamini Dayamati and some more devotees who were happy to see Him. 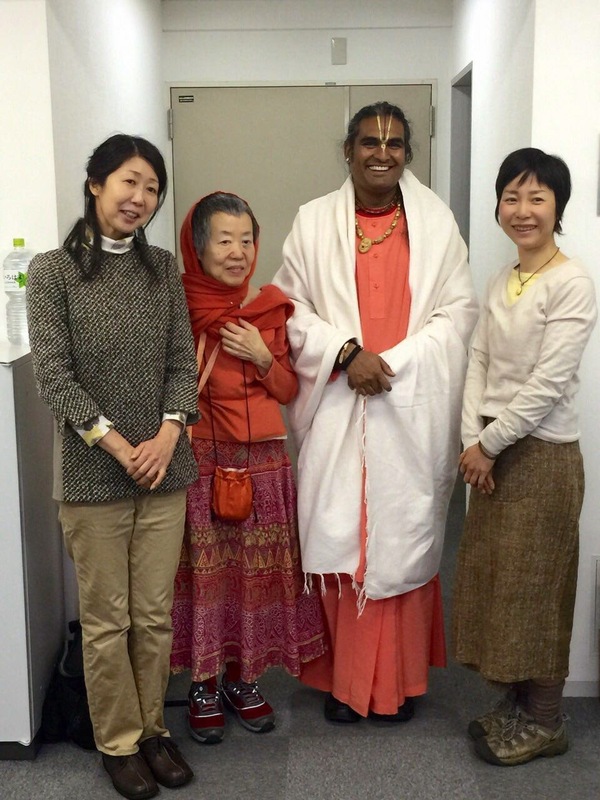 Swami was very excited to finally be in Japan and instead of taking the offered taxi, preferred to take the train to go to the hotel. On the way He saw many japanese people wearing a mask in front of there mouth and wanted to know why they are doing so. It is not only to protect themselves of colds or maybe catching a virus but also to protect others from their illness. 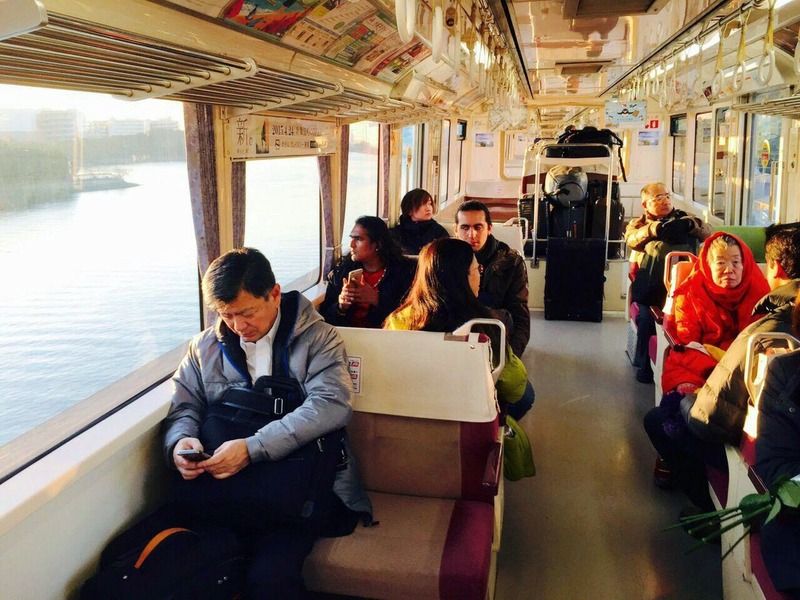 As the train ride went on, Swami wondered why the Japanese were not smiling and said, even while looking directly at them they wouldn't smile back... In a recent tweet He told about how smiling is good for us! After He arrived at the hotel, He had breakfast with the devotees – we counted nine devotees from 8 different countries! China, Nepal, Switzerland, Brasil, Serbia, Germany, USA and of course Japan! Here is the Facebook event page for the details of the Concert and Darshan with Swamiji tomorrow (January 16th). Make sure to invite your friends who live in Tokyo! 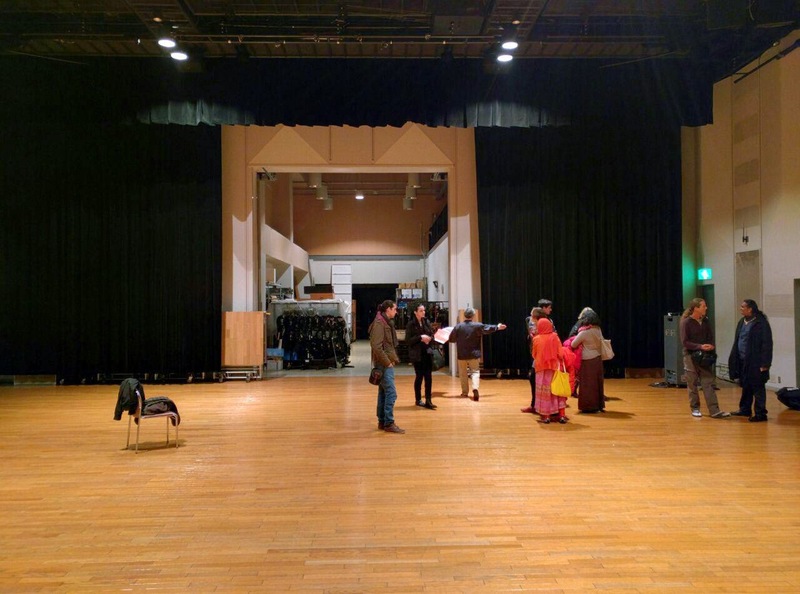 Post by Sri Swami Vishwananda.